President Muhammadu Buhari has given his Sallah message to Nigerians especially as the Muslim faithful celebrate Sallah. 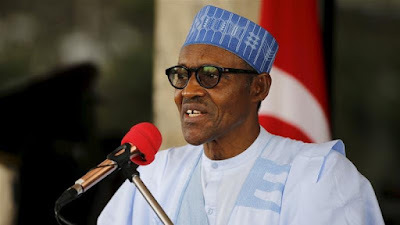 President Buhari thanked both Muslims and Christians for the prayers of recovery and good health they said for him while he was in London for medical treatments. According to him, “Fellow Compatriots, I felicitate with you all, particularly the Muslim faithful, on the celebration of this year’s Eid-El-Kabir. “I congratulate our Muslim brothers and sisters who are currently in Saudi Arabia to participate in the rites of the Hajj. “Indeed your fervent and sincere prayers, which cut across religion, political and ethnic divides, has energised me to re-dedicate myself and this administration to the task of building a great Nigeria. “On the joyous occasion of this year’s Eid-El-Kabir celebration, I appeal to all Nigerians to rise against the odds, keep our prejudices aside and strengthen the bonds of friendship and unity to keep our country together. “For Muslims all over the world, this celebration is to commemorate the trials and triumph of Prophet (Abraham) Ibrahim. “As we celebrate, I sincerely believe that our nation can make rapid progress on all fronts if we re-enact the exemplary virtues, typified by Prophet (Abraham) Ibrahim, through his sacrifice, patience, steadfastness, generosity and obedience to Allah’s command and constituted authority. “We must learn to see ourselves as brothers and sisters from the same heritage, who must come to terms with the African proverb that ‘‘a family tie is like a tree, it can bend but it cannot break. “Once again, I assure you that this administration, which has made the security, economic well-being and prosperity of all Nigerians its priority, will not rest on its oars until we see the Nigeria of our dream. “I wish everyone happy Sallah celebrations,” the statement read.